1. NES Speedboard – The Nintendo Entertainment System saw its fair share of third-party accessories due to its popularity, but this is one of the most ridiculous. 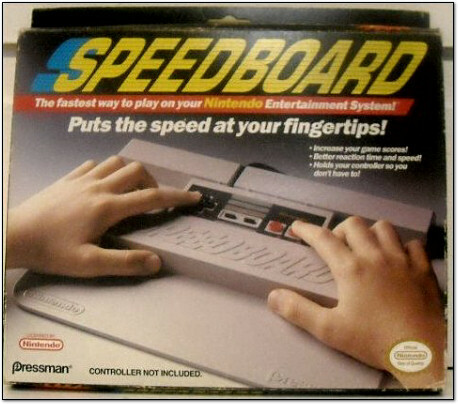 The Speedboard was a larger version of the NES controller, designed to be set on a flat surface so that you could run your fingers over it similar to an arcade setup. I guess the creators of the Speedboard had no respect for the usefulness of, you know, thumbs for gaming. I’ll stick with my NES Max, thanks. 2. 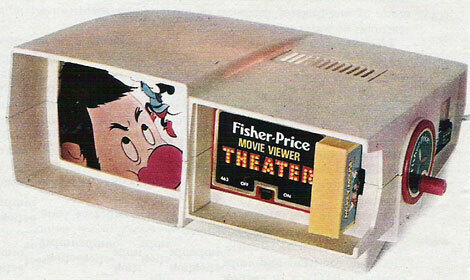 Fisher Price Movie Viewer – Here’s another amazing Fisher Price toy from my childhood: the Fisher Price Movie Viewer. And here’s an ad for it. 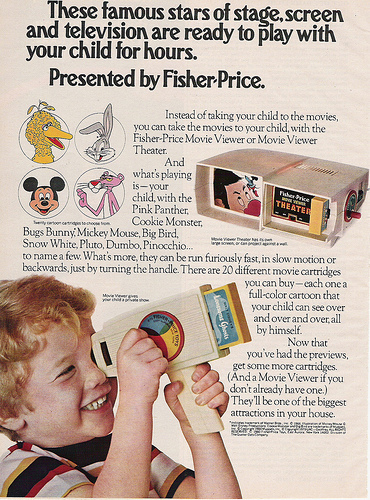 As you can see there was also a model that was handheld, where kids had to hold it to their eye to see the movie. Give me the projector version any day. 3. 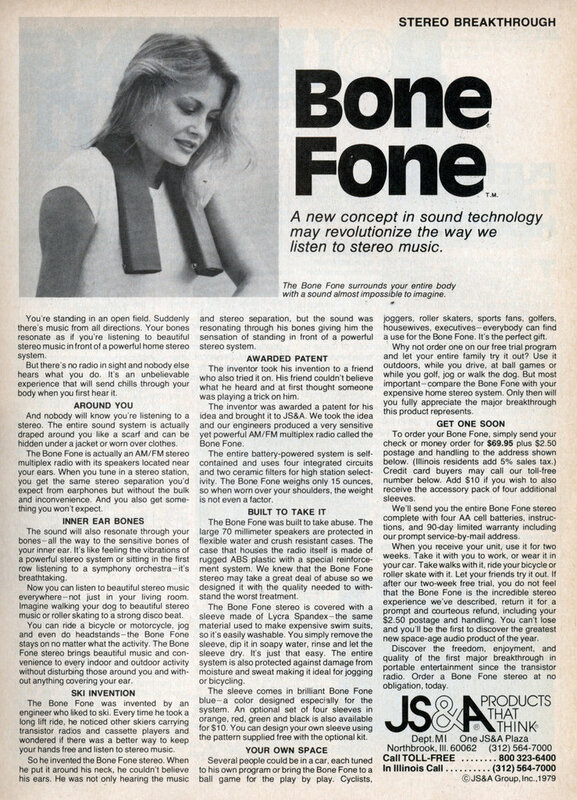 The Bone Fone – Here’s a product from the seventies that I would have absolutely jumped on if I were an adult back then and had $69.95. The Bone Fone was an AM/FM radio that claimed to conduct the sound THROUGH YOUR BONES, allowing you to effortlessly listen to the radio anywhere. I can’t imagine this actually working in an acceptable way, but I would have been up for giving it a try. 4. Spirograph – If you wanted to draw pointless, trippy designs that are geometrically and symemtrically accurate, Spirograph was your toy. 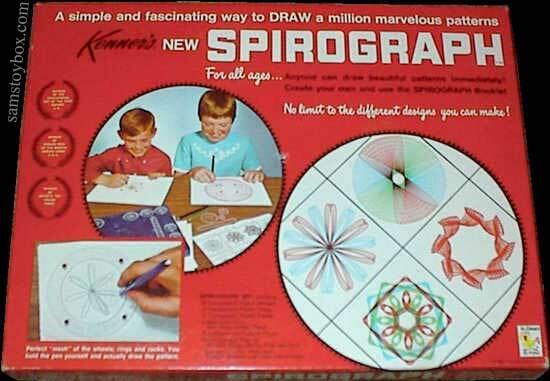 I loved the depth of the Spirograph sets, with all the different shapes and pieces and pencils, but I never really got into making the designs. It seemed kind of silly to spend that amount of time making something really intricate but to still have so many restrictions on how you made the designs. What if I wanted a wobbly football-shaped design? Too bad! It has to be perfect! Regardless, it’s still a cool looking art set, and maybe some kids were really inspired by it! Just not me! 5. The Best Action Scene Ever – A friend sent this along to me, under this title. I can’t really disagree.